On May 8, 2013, The International Youth Leadership Institute (IYLI), an organization that prepares African American and Latino secondary school students for leadership roles, will celebrate global understanding during their 24th annual celebration, Opening Doors to the World. IYLI will honor famed photographer Chester Higgins, Jr. with the Global Citizenship Award and proceeds of the event will support scholarships for New York City high school students traveling and studying in Africa. 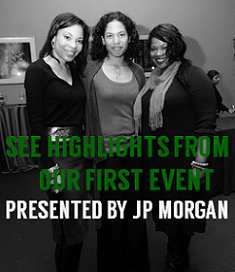 A success story of the organization is Jadayah Spencer, who began college at New York University at the age of 16. The IYLI alumna and board member shared her experience with us and explained why supporting their work is so important. BGB: What is The International Youth Leadership Institute? Spencer: IYLI is a not-for-profit organization founded in 1989 that prepares African American and Latino secondary school students to assume active leadership roles in their communities and global society. The way we work is that over the course of the school year, fellows attend seminars held at Columbia University on various issues pertinent in society today, ranging everywhere from the AIDS epidemic, to Art and Activism. These seminars culminate in a trip during the month of July to a country in the African diaspora, which also includes Latin America. Because we're a college-level program for high school students, they don't just go for vacation or relaxation. While the students are in the host-country, they attend classes at a university there for a week, learning the language of the land, then they proceed to travel throughout the country, visiting government offices, meeting non-governmental organizations, doing community service, conducting ethnographies, and facilitating seminars of their own, all with around ten other young people and their group leaders traveling alongside them. Because IYLI wants to make the world accessible to all fellows, IYLI heavily subsidizes the cost of travel, such that some fellows are able to have this entire experience for merely $300. The effect of IYLI on these students is evident in the fact that 98% of IYLI fellows have gone on to attend post-secondary institutions. IYLI has somehow managed to provide all this for the Fellow, and somehow still serves as a community of love, where any and everyone involved is appreciated and respected as part of the IYLI family. BGB: What motivates you to give back to IYLI? Spencer: IYLI is primarily a volunteer run organization, with only one full-time staff member. I am a volunteer, a member of the Board of Directors, and also an IYLI alumna, having participated in the 2011 Summer Fellowship Program to Tanzania, East Africa. I loved the experience so much, and I grew as a person exponentially over the course of that month-long trip. As a result, I was so grateful to IYLI that I resolved to never stop being involved. No one else but an IYLI fellow gets to experience the world the way IYLI does. Through the loving family atmosphere within IYLI, along with the environment that requires critical-thinking and analysis (IYLI uses history, culture, geography, and environment as a framework), IYLI Fellows thrive both spiritually and intellectually. I consider it my honor to help in that process. BGB: How can others support IYLI's great work? Spencer: Others can support IYLI's work by attending our May 8th event and spreading the word about our indiegogo campaign! We are trying to raise $2 million to help our fellows continue to travel. Donate and tell your friends about this wonderful opportunity to help the world's next leaders and change-makers. Tickets for Opening Doors to the World are now on sale. 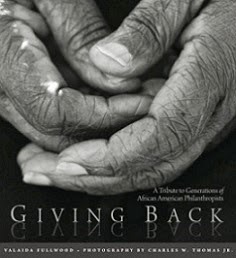 To purchase, visit http://www.iyli.org/benefit.html or contribute to IYLI’s indegogo campaign at http://www.indiegogo.com/projects/opening-doors-to-the-world. Learn more about the organization by visiting the website at iyli.org. 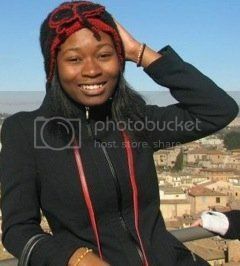 Photo via Teen Diaries of Jadayah studying abroad in Italy. This is a great article about a wonderful young lady and how her involvement in "IYLI" has had a major impact on life, her education and how she views the world as a global leader.